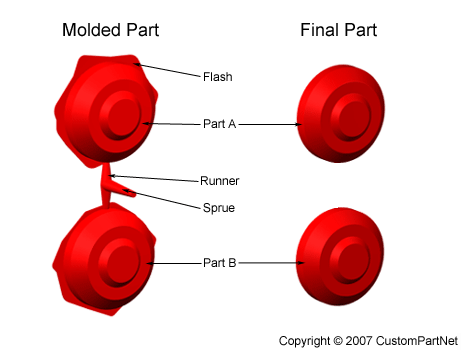 Flash is defined as that portion of the material which flows from or is extruded from the mold during the molding. The designer must design specifically for molding. For example, it is impracticable to duplicate, by molding, the appearance of a handle which has been fabricated from wood or metal by machining. To design a molded piece of good appearance calls for a knowledge of the molding technique and of mold-construction. In compression molds, the closing or telescoping of the two parts of the mold results in flow of material into the clearance between these parts. This material is known as flash and occurs at the parting line of the molds. The removal of flash from the article leaves a flash line, which is unavoidable and generally unsightly. 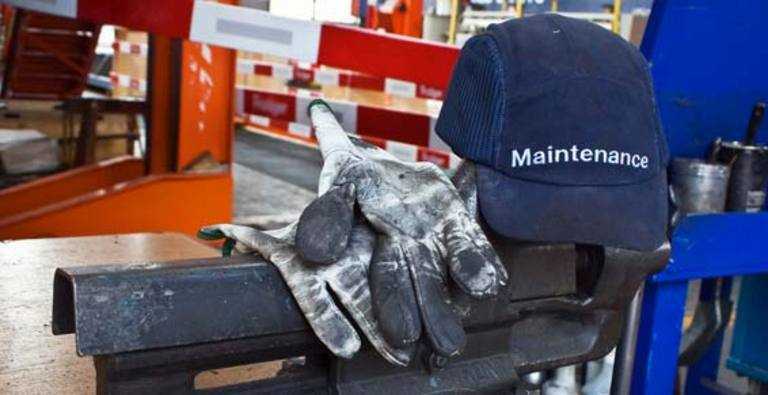 The problem of flash lines is one that requires careful consideration by the designer, as the attractiveness of the product may depend to a large degree on a careful location of the flash line where it will not be seen. When a piece is molded in a transfer or injection mold, the problem of flash is greatly simplified, because the mold is already locked in closed position before the plastic enters it. When flash lines are located improperly, the molded article may be marred either during its removal from the mold or later at the finishing bench, because the design does not permit easy removal of the flash. Articles of irregular shape must, as a rule, be smoothed along the flash line with a hand file, and then polished on a buffing wheel. A design which necessitates such work may impair the appearance of the article and will certainly increase its cost. In compression molding, by arranging flash lines so that they are vertical , or parallel to the movement of the ram , the removal of flash is made easier and cleaner.